The new Top Cow/Image Comics crime thriller POSTAL by Matt Hawkins (THINK TANK) and Bryan Hill (Broken Trinity: Pandora’s Box) and Top Cow’s Talent Hunt winning artist Isaac Goodhart is flying off shelves. Issues #1 and #2 are being rushed to second printings to keep up with demand for the hot new series. The townsfolk of Eden, Wyoming wake up to the first official murder the town has seen in 25 years. Their reaction to this isn’t normal, and there’s a reason for that. Eden operates as a haven for fugitive criminals who remain here while new identities, often including facial reconstruction, are created for them. There is zero tolerance for any illegal activity that might draw attention to the town and an “official murder” is the last thing they want. A single, tight-knit family runs Eden with the youngest oddball son Mark Shiffron overseeing the postal branch, the only means of shipping in to or out of the city. THE FBI has repeatedly been foiled trying to insert an undercover here; they see Mark as the weak link to exploit. This murder gives them a new opportunity. POSTAL #1 and #2 remain available for purchase across all digital platforms, including the Image Comics website (imagecomics.com), the official Image Comics iOS app, Comixology’s website (comixology.com), iOS, Android, and Google Play. 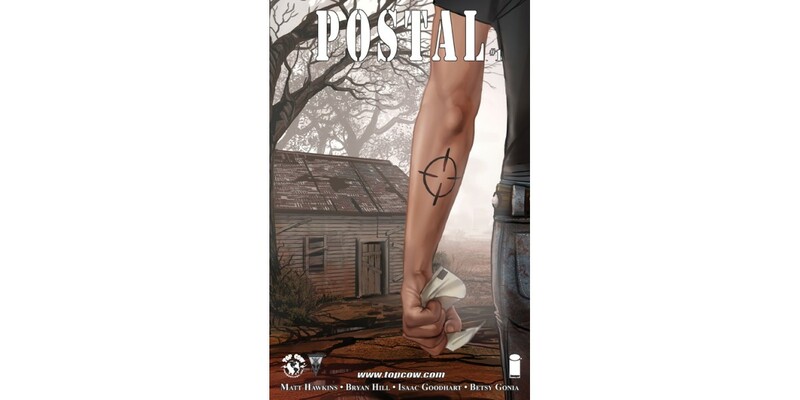 POSTAL #1, 2nd printing (Diamond Code FEB158258), arrives in stores on April 15. POSTAL #2, 2nd printing (Diamond Code FEB158259) will arrive in stores on April 15. POSTAL #3 (Diamond Code FEB150623) will arrive in stores on April 22.